The random thoughts of an IT professional. This can be accomplished by establishing a session on the VB/C# application and creating an instance of the ImportEDI process as shown below. After running a trace on Epicor you can see that the EDI Import Process runs 2 main methods. SubmitToAgent: schedules the process with the System Task Agent for Execution. This method requires that you fill in the appropriate values within the ImportEDIDataSet as shown on the FULL trace. Sometimes the libraries you need can not be compiled into the code you are writing. But this doesn’t mean that you can’t still use them, using reflection you can load any library dynamically into your code and execute any method within it. The below example demonstrates how to dynamically load the Microsoft Interop Library for Outlook from a directory and subsequently invoke a new Email with an attachment. I’ve commented the code above each invocation with the equivalent code that would be used if this library had been loaded at compile time. 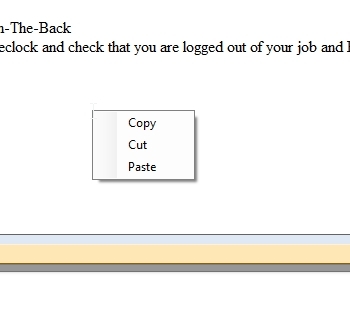 A question was asked on the mailing list regarding the ability to change the appearance (background, foreground, color) of an input control within the Epicor ERP10 configuration. This was an unusual request and it took a few minutes to figure it out. Below is the code which when excecuted on field change will change the appearance of the given input control to have a red background. It is worth noting that because of the way that the configurator editor is written there are parts of the configurator which do not have access to the Infragistics controls / dlls. In this case you would have to load the DLL manually using reflection which I do not cover below. However if done at the control level (OnChange, OnLeave) the Infragistic DLL seems to be available and the code below works. Please watch the companion video if you want more details. The Input.InputName is an object called InputControlValueBound which contains a reference to a “Control” and the value of said control. Once you’ve figured this out, you can use the public property .Control to get a hold of the EpiXXX (EpiTextBox,EpiCombo,etc..) object and then set the Appearance as you normally would. Please note that all Epicor EpiXXX controls have a default property called “UseAppStyling” if this property is set to true the control ignores any appearance changes because it assumes you want to load the default theme from the environment. This property needs to be set to false in order to allow the appearance changes to take effect. So it turns out that the DB for this blog had been filled up by a runaway plugin. So no one could comment or do much on here. This has been fixed… I guess I would have known this happened a long time ago if I posted more often. Oh well! Sorry guys! A few years ago I wrote an HTML Editor control that can be used with the .NET framework. Until recently it lay in obscurity being used from time to time by my and a few other people that found it online. Recently Joshua from Perficiency Development made some enhancements to it when he was trying to get it to work with Epicor. With this new enhancements and the fact that someone asked about it on the Epicor mailing list I decided to throw together this short tutorial on how to get it working in Epicor. Once this is done the code below takes care of the rest. I’ve commented the code where appropriate for clarity. // and update your dataview. Added a few samples of how to implement in epicor / integrate with the data views. Please not that if you are going to paste images and use it with Epicor we recommend that you download the version which puts the images on a shared network drive. Most UD fields in epicor are too small to handle the Base64 encoded image. 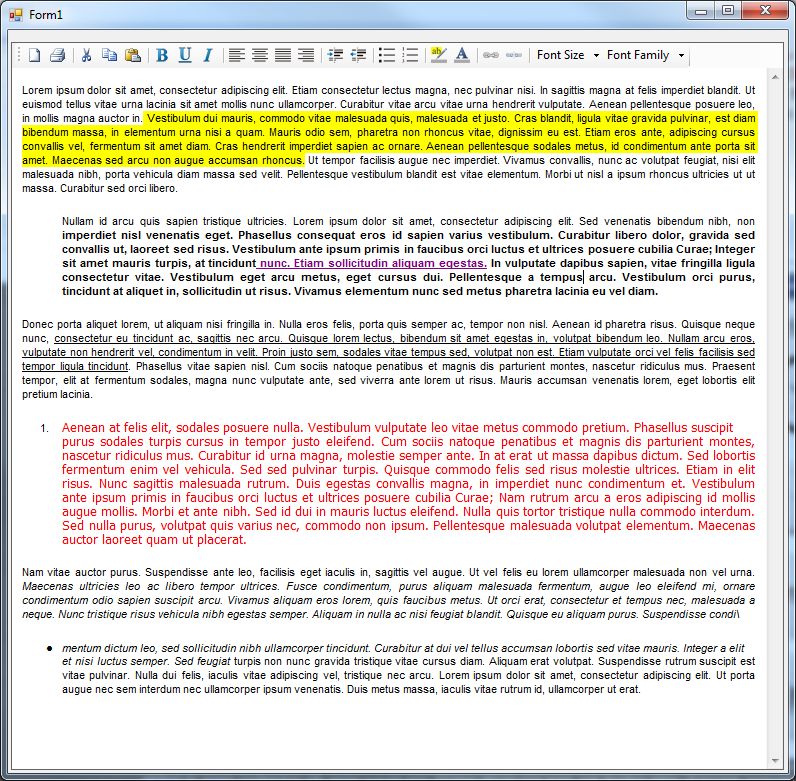 Joshua Giese from Perficiency Development made some enhancements to the editor that he wanted to share back. Added the ability to copy / paste images. I’ve been busy at work lately one of the projects assigned to me is to create an application to redact and edit emails that will be sent to customers. This provided a great opportunity for me to get familiar with creating a custom control in C#. I needed a way to create rich content and although C# has the rich text control it provides everything in RTF which is difficult to work with and hard to embed. So I got to work on my very own WYSIWYG control that produces HTML. So I am making it open source and available to anyone have fun and enjoy if you make any cool modifications to it let me know. I would love to include spell check ability but I don’t have much time to work on it right now. //Getts the PLain Tex code generated by the control. I decided to start sharing some of the recipes that I make every day, some of these I’ve adapter from others and some are recipes I just threw together, please let me know your thoughts and if you like or dislike any of the dishes. 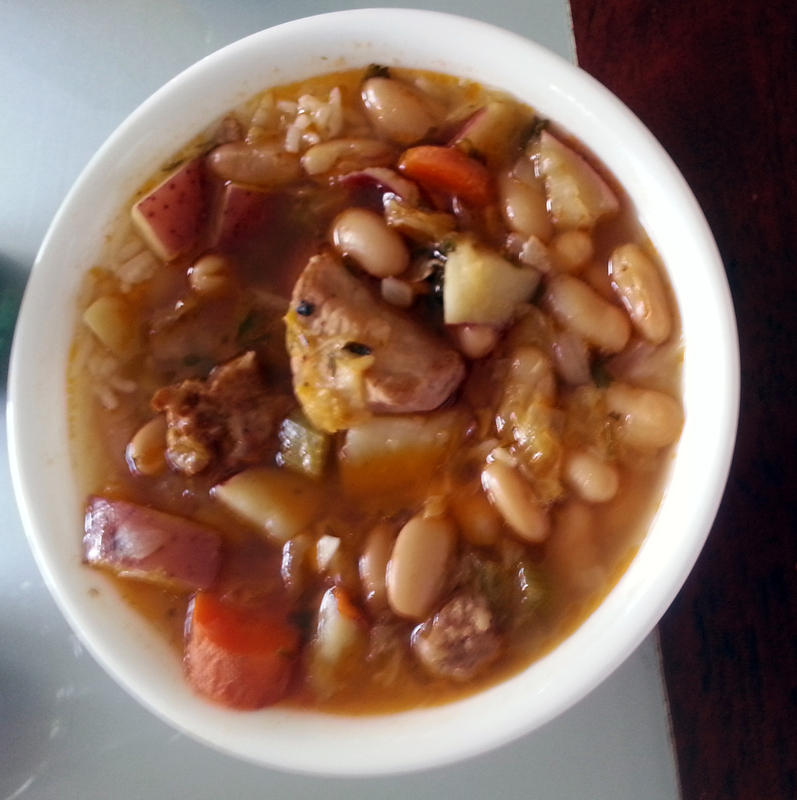 A hearty, warm and inviting soup that can be paired with rice to make a complete meal. Drizzle a nice size pot with olive oil and brown sausage on medium high heat until cooked through. Add the Napa cabbage chopped into strips and cook until wilted and slightly brown. When doing the initial cooking / browning you may need to add a bit more oil here and there to keep things from sticking. All the time I see on the list the request to export a Crystal Report from Epicor to PDF. I’ve done this many times different ways but this is my favorite, it can be done without having to bring in external libraries and it allows me to use Reflection. If you attended my talk at Epicor Insights earlier this year you heard me talk about it, utilizing the System.Reflection library we are able to call any code without the need to have access to the libraries at compile time as long as they are available in the GAC, it also allows you to call private functions and modify fields with restricted access level. Below is a brief explanation of how it works along with a sample of the code to Export an Epicor Crystal Report to PDF. Once the FSW has been instantiated we need to submit our report to the system agent, to do this we simply replicate what Epicor does by Tracing the “Generate” only operation of the report print. Finally we simply Open the report, set the data source (XML) and export it using one of the many export options available to Crystal. Within the InitilializeCustomCode function instantiate it and declare your interest in its Created / Changed events. My export function is 100% driven by the reflection library and its fairly tough to understand if you are not familiar with it, I’ve done my best in the comments to explain it but its not easy so follow along if you can. After this point the report has been submitted, and exported and the “PDF” file is available in the temp location you created earlier.